Minhee Cho is the cofounder of Paper+Cup, a stationery and design company. She lives in Brooklyn, New York. Vané Broussard is the founder of wedding blog Brooklyn Bride. She lives in Brooklyn, New York. Jainé M. Kershner is a sought-after wedding photographer whose work has appeared in several wedding publications. She is based in Brooklyn, NY. 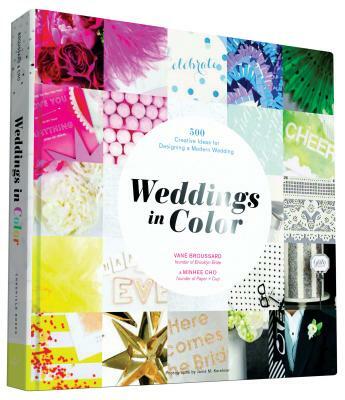 "Weddings in Color is the best wedding idea book I've ever seen. Well curated and beautiful to look at, it is the perfect gift for anyone planning a wedding." --Jordan Ferney, founder of Oh Happy Day!